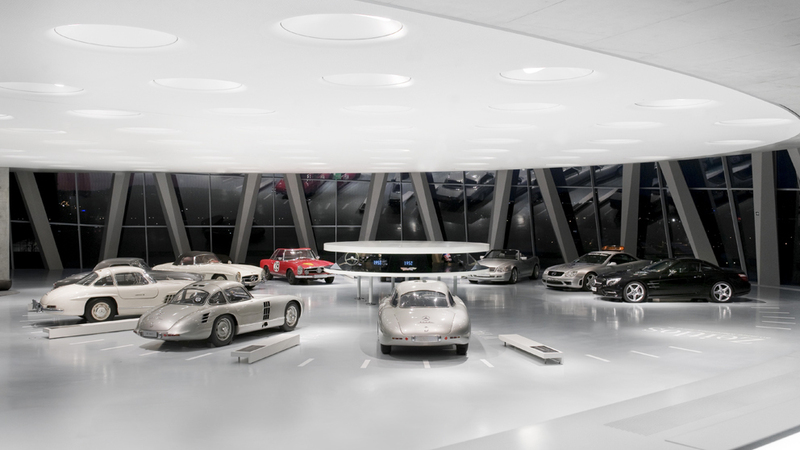 To commemorate the launch of the new generation in spring 2012 the Mercedes-Benz museum is dedicating a special exhibition to the legendary model range. 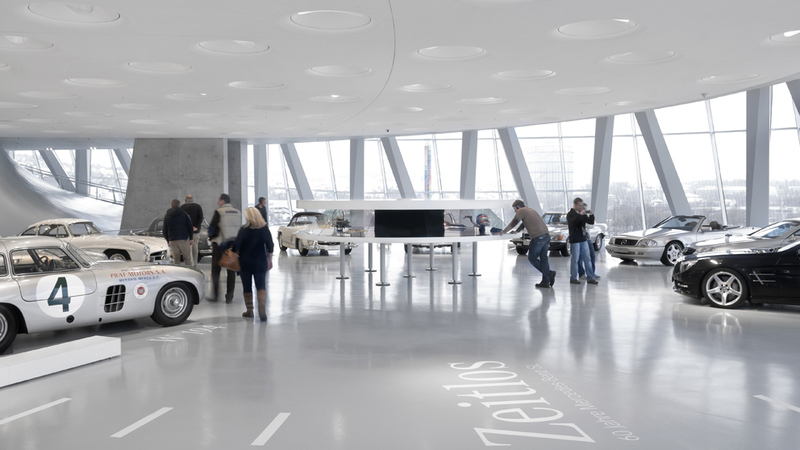 Under the name of “Timeless – 60 years of the Mercedes-Benz SL” all models from six decades of the iconic SL will be presented. 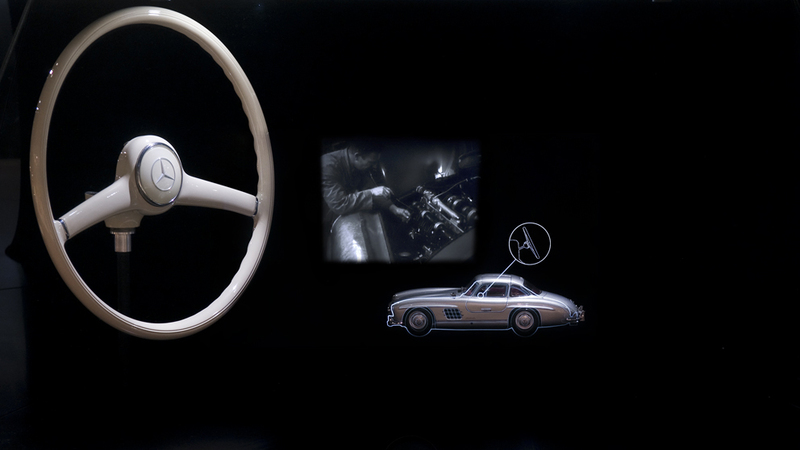 “Timeless” – the hallmark and aspiration of the SL series – is the guiding principle of the spatial concept. 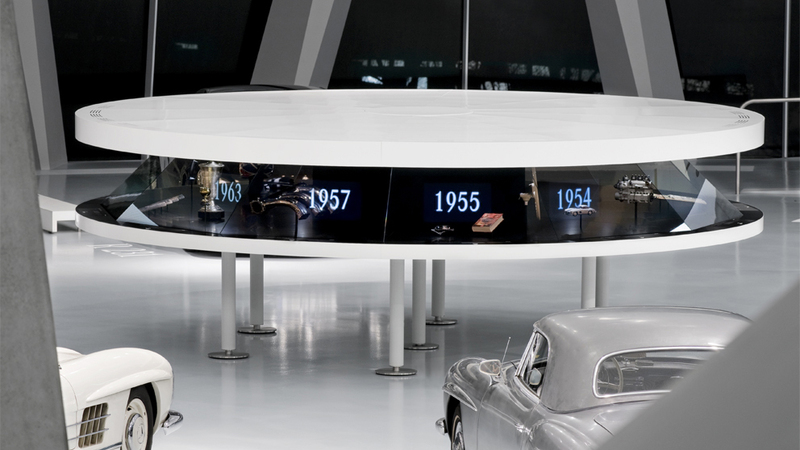 Ten vehicles are positioned chronologically on the floor graphics, which represent a stylised clock face, to form a radial time-line. 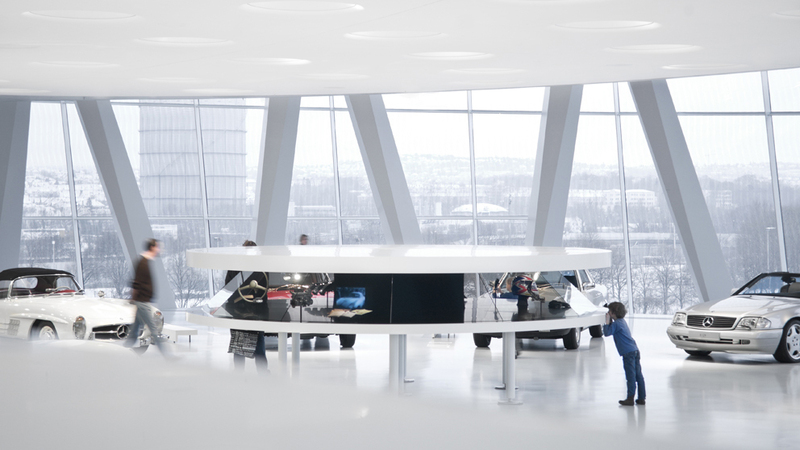 In the centre stands a circular showcase on delicate supports with selected real and media exhibits, creating a thematic link to individual racing cars. 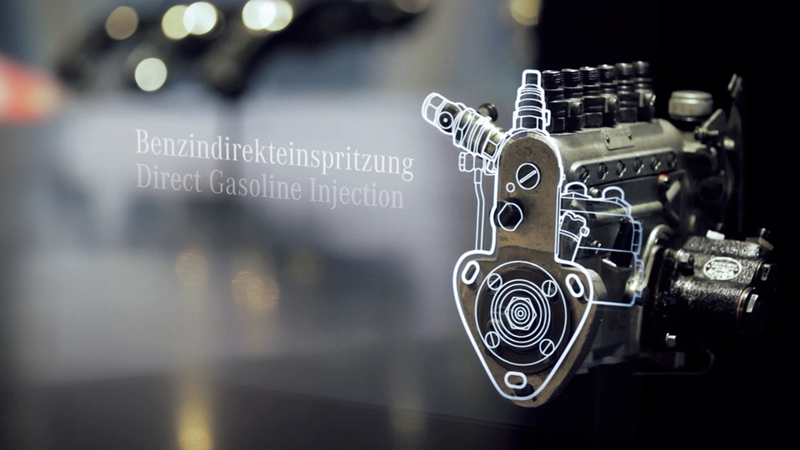 Vehicle, authentic object and the media enhancement in the form of text, images and film sequences produce the different levels of communication, which together tell a story. 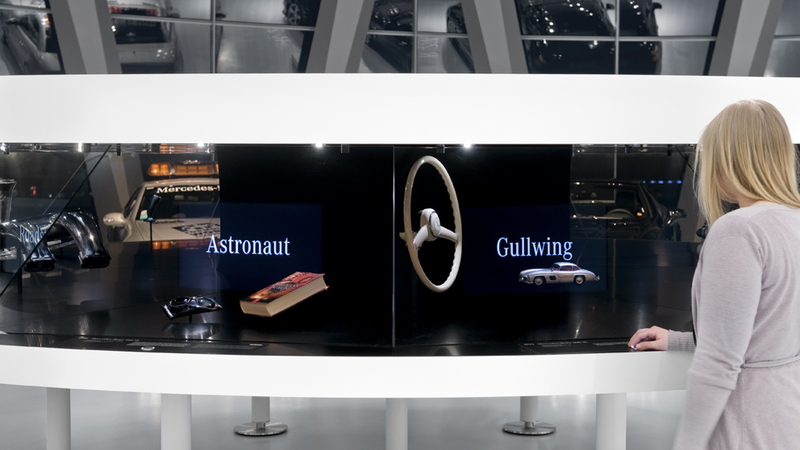 Using the Pepper’s ghost technique dates, words and images move every few seconds within the showcase space. 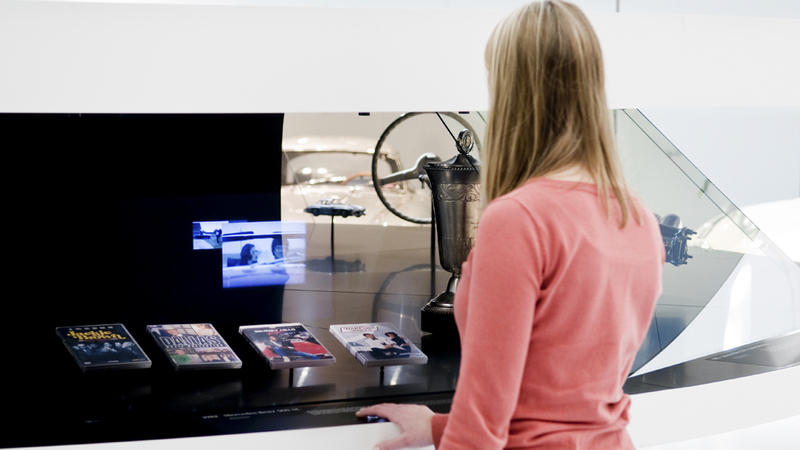 Their transparency produces elaborate interactions with the exhibited relics.